The Responsible Way to a Beautiful Lawn and Landscape! Try us Risk FREE, if you aren’t completely wowed by our unique lawn care service, you may walk away without any pressure or hassle. 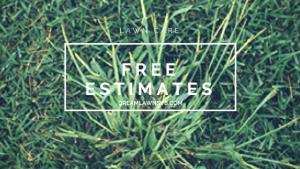 Come see why Dreamlawns is your best choice for lawn care, serving Virginia Beach, Chesapeake, Norfolk & Portsmouth lawn management needs. Get a Price Quote Now!!! Dreamlawns has been taking care of my lawn for over 10 years now. My lawn is healthy and weed free. The service reps are great and very knowledgeable. I was struggling for years with what to put down, when, how much, how to handle problems, and on and on. I was referred to Dreamlawns and have had my yard on “set-it, and forget-it” mode for 3 years. What a relief to have it done the right way and at the right time so my yard looks great. Whenever I have a question or problem, they’re there to help. It’s nice to have a pro I can trust that takes the time to know me and my lawn needs. I highly recommend the team from Dreamlawns!